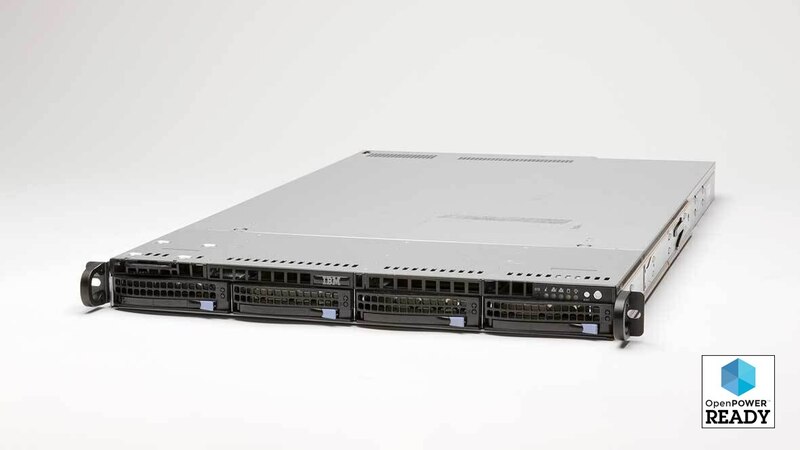 With two POWER8 processors packed in a 1U form factor, the S821LC is designed to handle compute-intensive workloads. IBM® Power Systems™ S821LC brings open innovation and high-density computing to the Linux server market. It offers superior virtualization and incorporates POWER8® processors, tightly coupled field-programmable gate arrays and accelerators, and faster I/O using Coherent Accelerator Processor Interface (CAPI) technology. The server optimizes processing power, offers increased workload throughput and reduces datacenter floor space requirements. Deploy versatile systems for a broad range of server workloads, ranging from online transaction processing (OLTP), webhosting and big data high throughput.